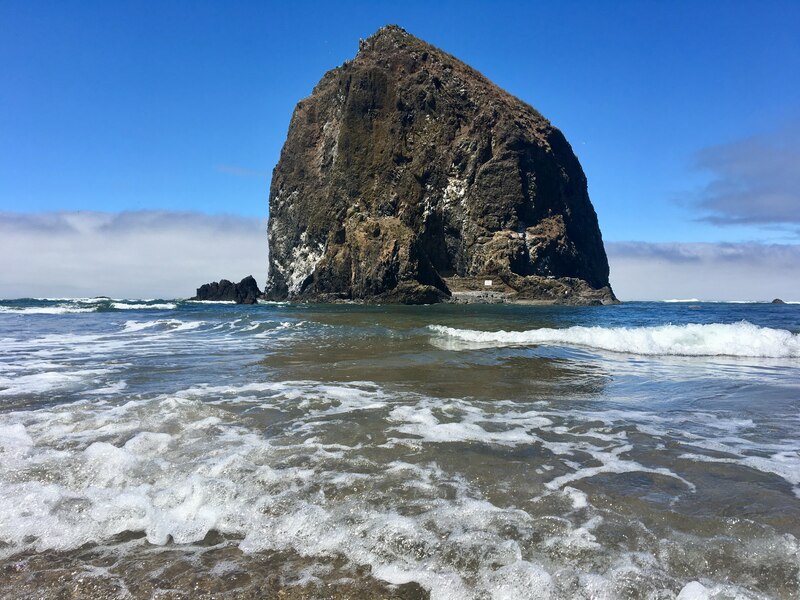 Al and I took a bus from Portland to Cannon Beach early on Friday (that way, we could spend a full day at this gorgeous place)! We ate a great lunch at the Pelican Brewery in town then went straight to the beach. The air was fresh, the water was freezing, and there were dogs EVERYWHERE! I was in heaven! We had both been to California on separate occasions (Al in San Diego, myself in San Francisco), so being back on the West Coast meant a lot to us. I was worried that everyone was going to think that Al and I were a couple (especially because 1. I have an engagement ring on and 2. we were talking a long walk on the beach together…), but no one did! We still wanted a picture together though! I prefer the photo that the kind stranger took as opposed to our poorly-attempted selfie! Full disclosure: I thought I was stepping on a plastic wrapper filled with water, when it was actually a piece of a washed up jellyfish!!! Aside from the jellyfish scare, our time at the beach was perfect!